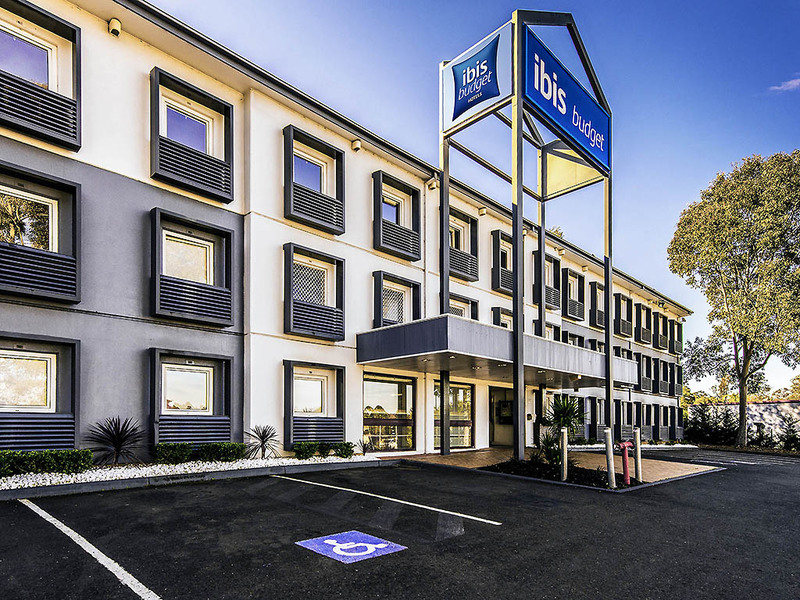 Less than an hour's drive from Sydney CBD, ibis budget Campbelltown offers guests access to both Sydney's West and Sydney's spectacular city centre. This affordable Sydney hotel is a short distance from Leumeah station, offering access to Sydney and its s urrounding suburbs via train, while major roads connect Campbelltown to Sydney's West and the CBD. For guests looking to explore Campbelltown, there is a wide range of shops, restaurants, bars and attractions to discover within easy reach of the hotel. Clean and tidy room - however some sort of renovation work seemed to be taking place on my second night - about 12 blokes on ladders changing lights and ceiling fittings during the evening! The staff were very polite & greeted me kindly, however I was unable to sleep on both nights of my stay. Other guests were screaming throughout the nights & had tv or music blarring. On the second night of my stay I was thinking of calling the police due to a domestic fight between a man & lady. I feared for my life when a male went behind the building & knock on all the windows demanding the door to be opened. I was allocated a room on the third floor when I checked in, but there was major maintenance work going on there and I couldn't access my room. I was given another room, but the maintenance work carried on for a couple of hours, restricting access, making lots of noise, and stirring up lots of dust. Most unpleasant. I will not be staying at this hotel again. Carpets on the way up so dirty. No lift. Walls dirty. I paid $175 for the night. The bed was clean and room in general ok. Very dated and tired but only stay if you really don’t mind a blind that is ripped in half so you can’t block out the light. No remote for the TV. Don’t advertise from $69 then charge what you do for what you are offering. I have stayed at Ibis and it was good. But this took the cake. Comfortable beds, friendly staff, free parking. Tv could be tilted slightly because when lying on the bed it is hard to see clearly. Very minor issues that could be fixed. But overall I'm happy. Very pleasant and helpful staff. Clean, comfortable room. Great value for overnight stopover incl. breakfast. Convenient location with plenty of food outlets across the road. Check in was very smooth and room as expected. Cubicle toilet/shower leaves much to be expected being too small for any but below average adult. Breakfast especially at the promotional rate was exceptional value and adequate for the morning. Will definitely stay again. Stayed hear many times over the years on visits to Sydney. Shower cubicles need to be replaced with more modern units. The rooms themselves are clean, and a decent size for the most part for the price. The bed was fairly comfortable which is ultimately what you want. It's also very quiet. The only down side was the showers are small - tiny. I'm not a big person and I had trouble washing in there. A bottle of shampoo wouldn't go astray - lucky I keep spares. It was different but I was comfortable. Check-in good, room clean and conveniently located, internet $1 breakfast deal excellent, on-site parking good and good choice of food outlets within a few minutes walk. Just needed somewhere simple and basic to stay. Just right. Basic but comfortable, good value. This stay was a last minute decision to enable a trip into Sydney in the evening and an event at Narellan Vale the next day. So convenient being so close to the station and the price with Accor membership exceptionally good value. I did have to wait to check in as there were four people ahead of me, but the staff member was welcoming and thanked me for waiting. Great bed, hot shower, value $1 breakfast with a barista coffee as well. Great value stay all round. No hand towel no face washer no toiletries. Stained bed linen. My experience wad not great. Always well looked after by amazing staff! Always the best! We’ve stayed here a number of times and the staff always go above and beyond! Such a beautiful family!